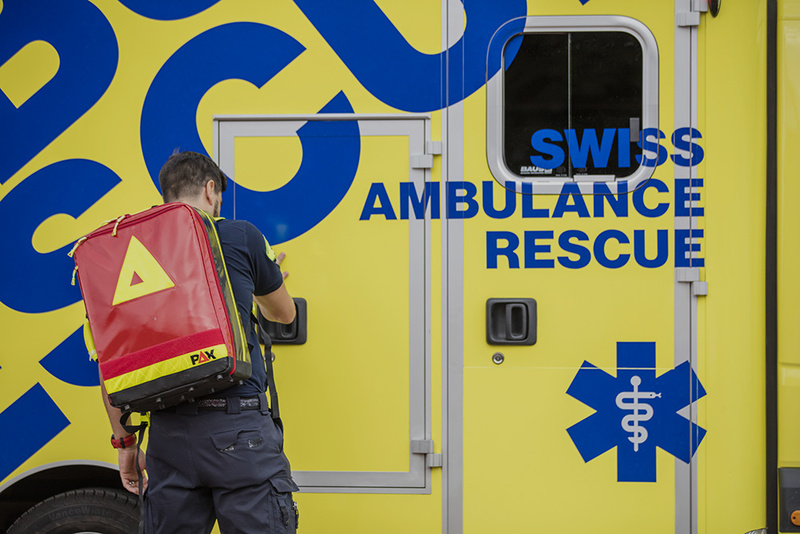 Do you know the origin of the cross of life found on our badges and ambulances? Are you aware that there exist multiple symbols which represent the medical or paramedical professions? Detection: someone involved in or near the medical emergency must be able to identify the issue and contact the proper emergency services. Reporting: By calling the 144 center, dispatch determines the best means of emergency medical help. It is therefore important to relay the correct information so an appropriate decision can be made. Response: the ambulances are dispatched to the incident while the first rescuers, if there are any, provide first aid. On scene care: the paramedics arrive and provide immediate care while applying the basic or advanced medical protocols required. They have the possibility to contact an emergency specialized physician (REGA or SMUR, for example). Care in transit: the paramedics proceed to transfer the patient via an ambulance or helicopter while continuing to provide required medical care and surveillance. Transfer to definitive care: the choice of hospital is of great importance, as it allows the patient to benefit from the specific and necessary expertise connected to their health issue. 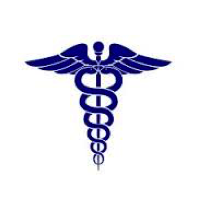 The rod of Asclepius, a serpent entwined around a rod, is the emblem of medical and paramedical professions, and has experienced many adaptations since its creation. The rod symbolizes that which is wielded by Ascelpius, the Greek god of healing and medicine, who traveled around the world looking for medicinal plants and remedies. The rod sometimes sits on top a mirror, symbol for care and wisdom. The serpent, symbol for life and strength, can restore youthfulness, and understands the virtues of medicinal plants and the mysteries surrounding death. Simple rod entwined with a serpent: medicine. With a mirror hanging over the rod, this symbolizes the physicians of the internationally-recognized medical organization Ordre de France. The serpent twined around the bowl of Hygieia (goddess of hygiene) is the emblem for pharmacy professionals. The serpent twined around an ovoid shape, symbolizing the female perineum, is the emblem for midwives. There exist other caduceus symbols, erroneously used as a symbol of medicine, like this one representing a rod sporting wings, and entwined with two serpents. This is the staff of Hermes. Hermes is the patron of peace, eloquence, commerce, thieves, and trickery, and is the conductor of souls into the afterlife. This emblem is not used as a medical symbol in Europe, but often for commercial healthcare organizations in the United States.